Information about Vietnam Regulatory, Vietnamese people and more! Every year, there are many cosmetics importers from Korea, Japan and Asean countries to serve the beauty needs of the local people. 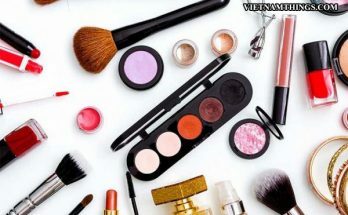 If you want to import cosmetics into Vietnam firstly, you should make cosmetic product proclamation to avoid arising Storage costs if the goods are imported but not yet announced cosmetic product proclamation . The following is procedure of cosmetic product proclamation . 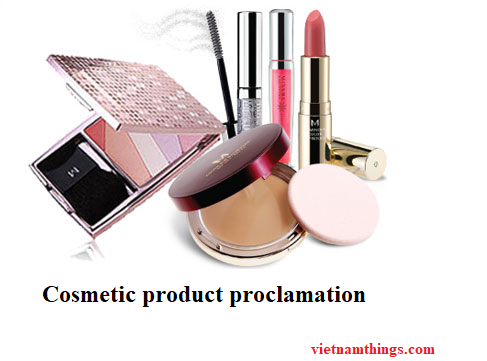 Note : This announcement is valid for 5 years from the date of Cosmetic product proclamation. Other Dossiers of import procedures shall comply with the provisions of Articles 16 and 18 of the Finance Ministry’s Circular No. 38/2015/TT-BTC of March 25, 2015. The Drug Administration – Ministry of Health will issue a number of receiving of cosmetic product proclamation . This cosmetic product proclamation is issued as a digital file on the system. Only who have an access account can view and download this cosmetic product release form. Each set of product is issued with a receiving number of cosmetic product proclamation . The receiving number of the cosmetic product proclamation is used to declare on the customs declaration when you import the goods, and you publish on your product / label before putting into the market. According to article 5 of Circular No. 06/2011/TT-BYT. This is a website provided something about Vietnam law and the Vietnamese people. We hope that the current information provided will help you in your effort to be better informed. The preceding information is for educational purposes only. As it is impossible to include all situations,circumstances and exceptions in a newsletter such as this, a further review should be done by a qualified professional. Copyright © 2019 Vietnam Things.